Outrageous Fortune: I'm still alive. Very much so. I feel bad that I've written and shared so little with you all this summer. Ever since my Kickstarter project came to an end, I have been spending my blog-writing time STARTING A FREAKING PUBLISHING COMPANY but I feel guilty nonetheless. It's not as though I haven't thought of about a dozen post topics, but the time to write them eludes me. Even now it is 12:30 a.m. and I really ought to be sleeping, but I can't, so I write. Things have been going very well for me this summer. My children are finally talkative and easier to relate to than the babies they have been. I'll surely miss those babies sometimes, but mostly I'm glad that they are growing up. Malachi is enthralled with numbers and letters and JJ goes around doing completely adorable things, like hugging and kissing inanimate objects and saying " 'ug an' kiss!" in his tiny voice. Thanks to the Kickstarter campaign, we have also been able to afford more trips to the Anat Baniel Method Center in California. Malachi and I are on one now, in fact. It's nice to have only one boy to take care of, but he is by far the more difficult of the two. That, and the fact that both boys have been going to bed very late on these long summer days, leaves very little time for thoughtful compositions. OK, all that stuff was written last week. See what I mean about not being able to find time? Anyway, I wanted to share with you SEVERAL exciting developments in my life over the summer. 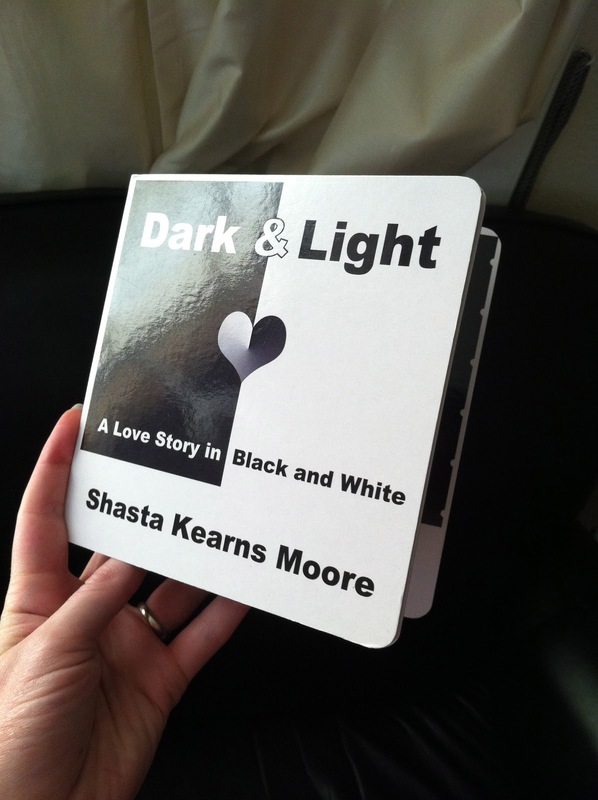 Slowly and steadily, Dark & Light: A Love Story in Black and White is becoming a reality! Above is the proof copy I got from China a few days ago. After a few modifications, the final version is sent and the order will soon be in production! I'm hopeful that our arrival date of mid-October will hold true! If you've already followed some of the links in this post, you will also know that I have started a website for Dark & Light. Due to the generous and unsolicited donation of time and services from All Media Bainbridge, the website will — as soon as we have products! — have an online bookstore, where you can buy the books directly from yours truly! Meaning even more money for Malachi's treatments! 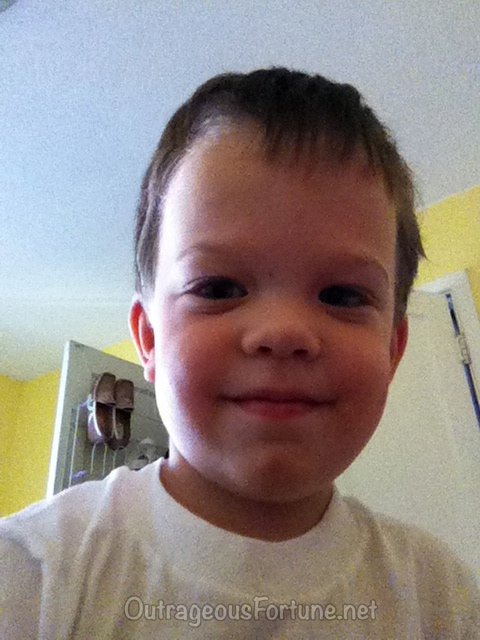 Malachi is progressing very well after our last two weeks of lessons at the Anat Baniel Method Center in San Rafael. I will write a much longer post about this trip later but I wanted to share these two videos from our trip. This first one is of Malachi prop sitting for a full minute, but before I had the camera on, he was prop sitting through a whole rendition of the ABCs, so that makes at least TWO full minutes of prop sitting! But here's the real coup d'état! Malachi crawling around on his alphabet mat! If we are Facebook friends — and if not, why not? — you will have already seen a shorter video of him crawling, but I think this one better shows his newfound skills. I mean seriously. Doesn't he look at least 12... or, you know, 40 in this picture? Speaking of time, are you aware that TOMORROW (Sept. 4) is World Cerebral Palsy Day? I am going to be a big fat slacker and not do anything about it (it was hard enough to get this post up!) but several of my blogging friends are posting about it so go check them out! • "AZ Chapman" is a young woman with CP who has put together a photo montage of folks with cerebral palsy. She blogs at http://azisamazing.blogspot.com/ so head over there and see if you can catch Malachi's cameo! • Tracey Trousdell is taking the World CP Challenge which is a four-week campaign to raise awareness and funds for cerebral palsy. • And Ellen Stumbo has her monthly CP Connection which I'm sure will be chock-a-block full of many fascinating personal and emotional stories about this crazy ol' condition we call cerebral palsy. Alright... I think that's everything! It's thrilling to see Malachi make such GREAT strides, Shasta! And for Dark and Light to be so close to actually being in readers' hands! Huzzah! Honest to goodness, he looks about four years old in that picture. So handsome! Dropped in from the CP Connection. Your boys are adorable and the book looks fabulous!! Thanks for sharing!! WOW! What a whole lot of stuff to celebrate :) Congratulations on so many levels!! I'm still alive. Very much so.